This year, we’re celebrating 500 years at Sidhil! No, we haven’t been developing healthcare solutions for quite as long as that – although we have been around for more than a century! Our special 500 years reflects our people, many of whom have been with us for more than 20 years. When David Russell asked for contributions to the THIIS newsletter highlighting long service awards, we decided to do a quick tally of people who have been with us for more than 15 years, and the surprise total was 500 years of loyal service! 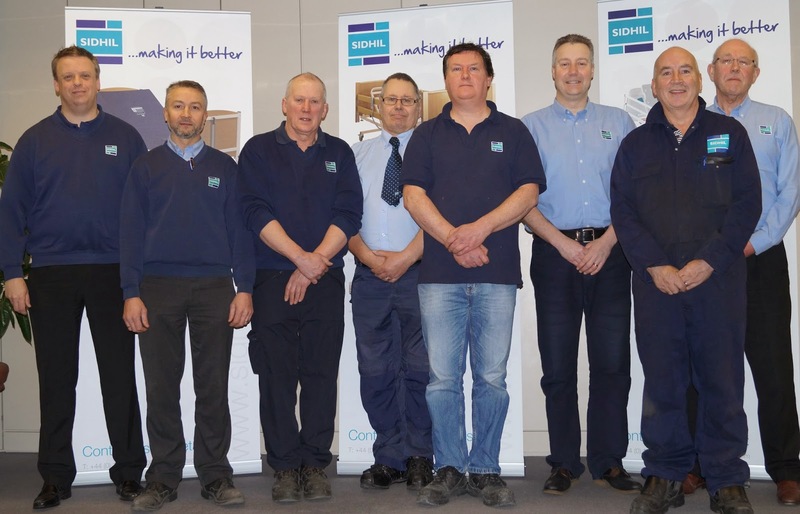 We really are a family business; not only fourth generation family-owned, but also employing fathers and sons, mothers and daughters, brothers, sisters and cousins – it makes for a close-knit and stable workforce. So congratulations to everyone concerned, from Richard Hanson at 39 years to Alistair Fry at 15 years – we’re hoping everyone stays around for many more!